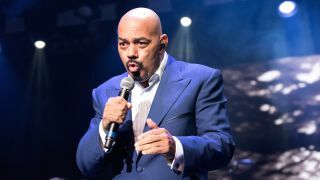 James Ingram, a star of ‘80s soul and R&B, has died at the age of 66. Having played keyboards for Ray Charles in the early part of his career, he went on to work with Quincy Jones and Michael Jackson, and to score hits in his own right. Ingram won the first of his two Grammy Awards in 1982 for his vocal performance on One Hundred Ways, which appeared on Quincy Jones album The Dude. One of many other nominations came in 1984, for his co-writing of Michael Jackson’s P.Y.T (Pretty Young Thing) - with Jones again - and he won his second Grammy for his performance on Yah Mo B There, a duet with Michael McDonald. More success followed, notably in 1986 with Somewhere Out There, a duet with Linda Ronstadt that featured in animated film An American Tale and went top 10 on both sides of the Atlantic. Ingram continued to work for the next two decades, though his output slowed during the last ten years of his life. He is reported to have died after suffering from brain cancer. The music industry has been quick to pay its respects to Ingram, with Quincy Jones leading the tributes.